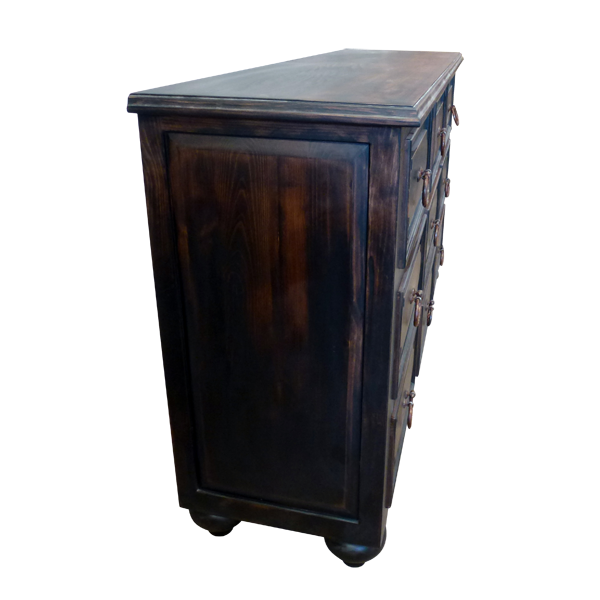 The intricate details on the hand forged, iron handles on this handcrafted, Spanish colonial dresser are representative of the care that we place in the designs of our luxury furniture. 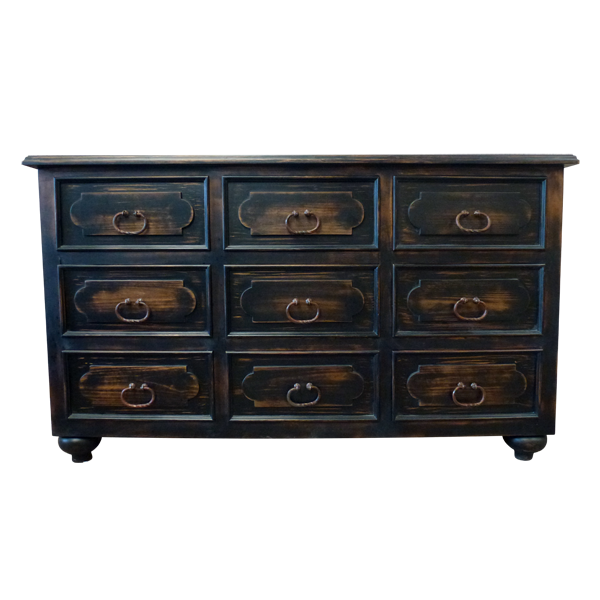 The dresser features nine, large, spacious, rectangular drawers, and each drawer has a geometric cut design on its face and a robust, hand forged, iron handle in its center. 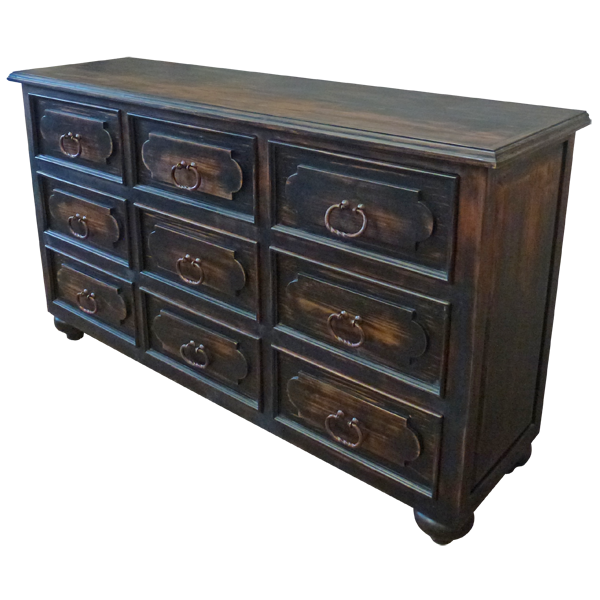 The entire dresser, including it open, wide top, is finished in a beautiful, dark stain. Each side of the dresser is adorned with a decorative, geometric cut panel, and it rest on hand turned, bun style, tapered feet. It is made with the best, sustainable, solid wood available, and it is 100% customizable.